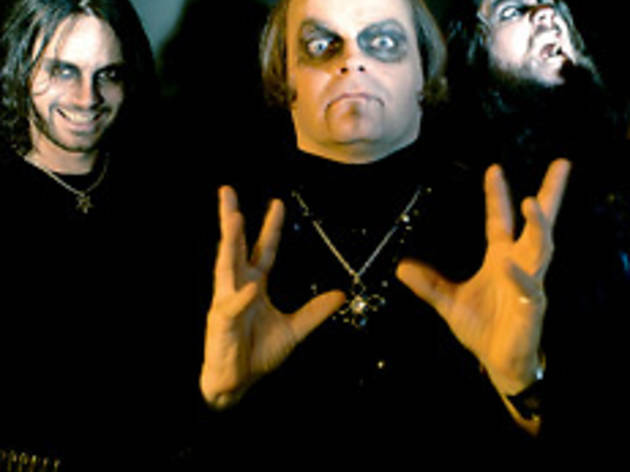 Black-metal legends Celtic Frost warm up for a reunion. 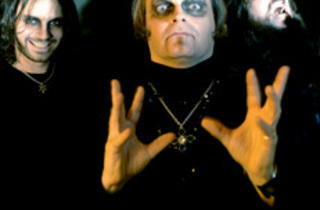 His look may have spawned a generation of corpse-painted European metal bands, but as the founder of Switzerland’s Celtic Frost, Fischer’s real legacy was laying the groundwork for what would become some of the bleakest forms of black metal. By wielding classical music and electronics as fiercely as his trademark serrated guitar tone, he was also one of the first to bring metal into the avant-garde, a vision that culminated on 1987’s landmark album Into the Pandemonium. That vision soon blurred after a failed 1988 commercial stab at glam, and grew even dimmer when Fischer’s strained relationship with founding bassist Martin Eric Ain led to an apparently permanent split in 1991. The band’s legacy seemed relegated to a mere footnote in metal’s history. But Celtic Frost’s story wasn’t over yet. A decade later, when asked by their former record company to remaster their back catalog, Fischer and Ain began discussing the possibility of recording again. “For the first time, Tom and me really had to get together and talk about the past,” Ain says. “All of us were wrestling with personal demons, and this was all coming out in the music.” After four years of exorcising and recording three albums’ worth of material, the pair produced Monotheist, a masterstroke that’s one of the best extreme metal albums of 2006. Celtic Frost plays Vic Theatre Saturday 23.